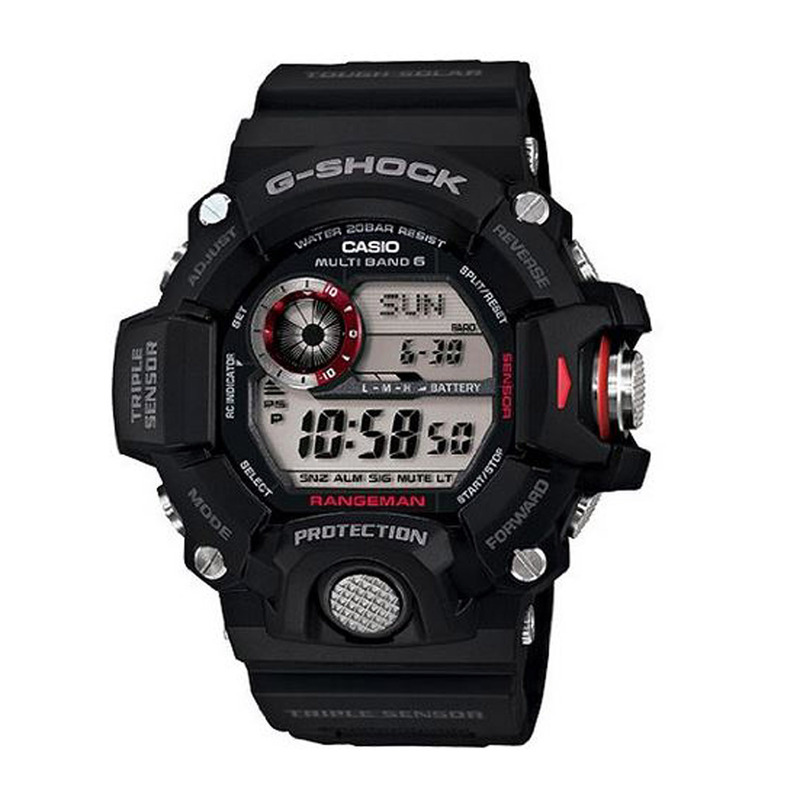 This rugged timepiece is designed and engineered to stand up to the most demanding conditions. Employs a Shock Resistant Triple Sensor, capable of keeping altitude, barometric pressure, temperature and direction readings at your fingertips. Cylindrical buttons provide outstanding operation and improved resistance to impact. Each sensor mode has its own audible tone, which means you can determine which mode you are entering without even looking at the watch. The perfect watch for anyone requires unfailing reliability. Black resin band digital watch with black face, red accents on the dial and the side button.